*When using this function from Internet Explorer, please refer to "Using Salesforce from Internet Explorer", and check the settings there. *Please do this procedure after logging in to Salesforce. To do this, you will need system administrator clearance in Salesforce. *This procedure is written with the Developer Edition in mind. 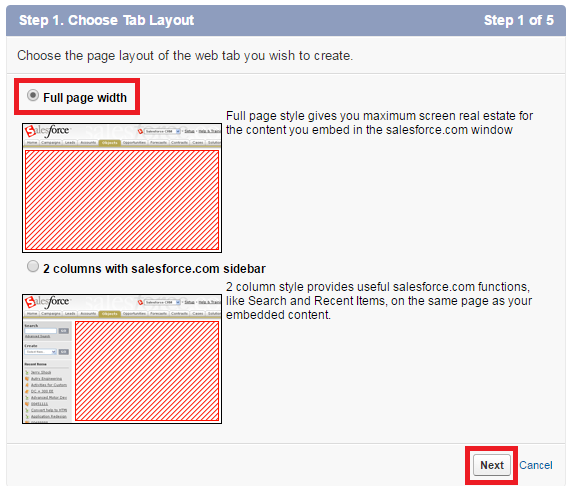 *If you use AD Integration, you cannot display Sansan inside Salesforce tabs. You can do this after you "Open new window" on your browser. 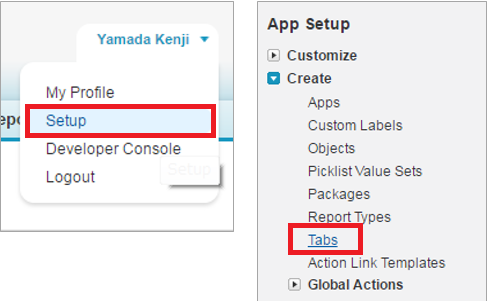 (1) From the user menu in the upper right, choose "Setup", then "App Setup", then "Create", and then "Tabs". 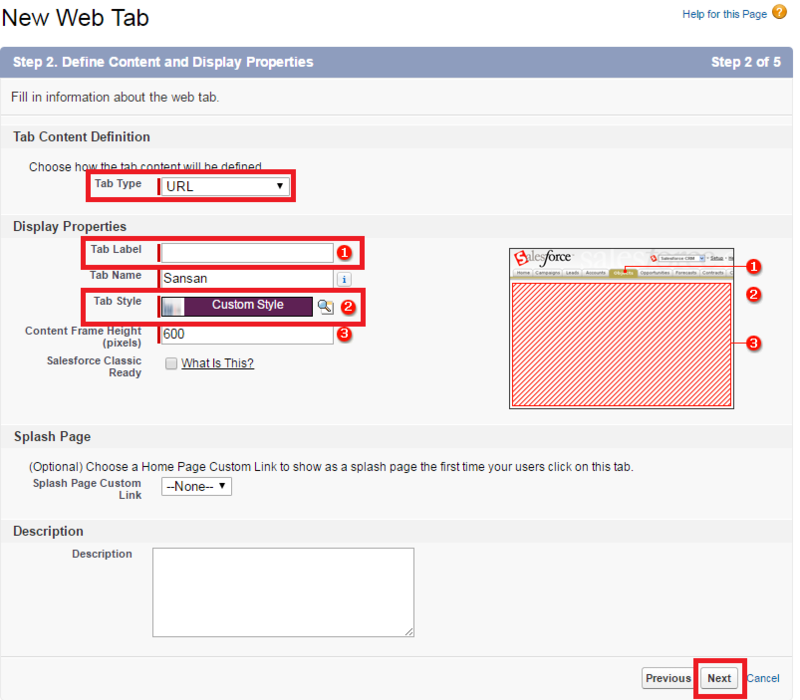 (2) From the Custom Tabs screen, choose "New" of Web Tabs. (3) In "Choose Tab Layout", choose "Full page width", and then press "Next". (4) In "Define Content and Display Properties", please input the following, and then press "Next". -For the definition of the Tab Content, select "URL"
-For the Tab Label input "Sansan". When this is input, the Tab Name will automatically be displayed. -Choose the Tab Style as you wish, and then press "Next" . 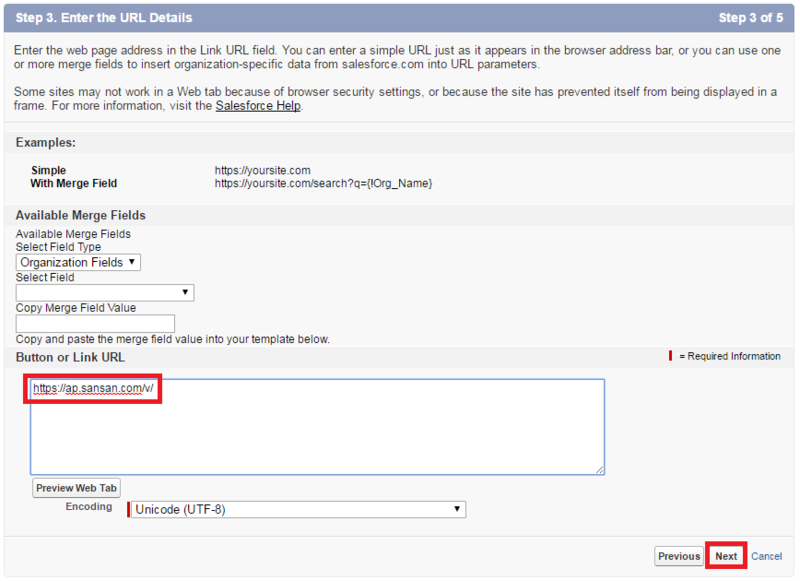 (5) In "Enter the URL Details ", choose "Button or Link URL" and input the following URL. 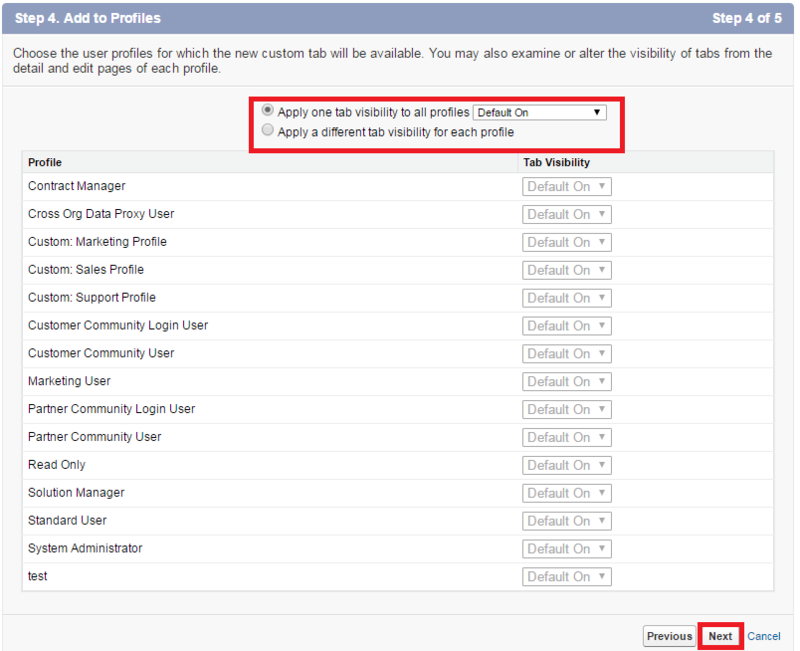 (6) Please select a profile for the tab display of your choice. 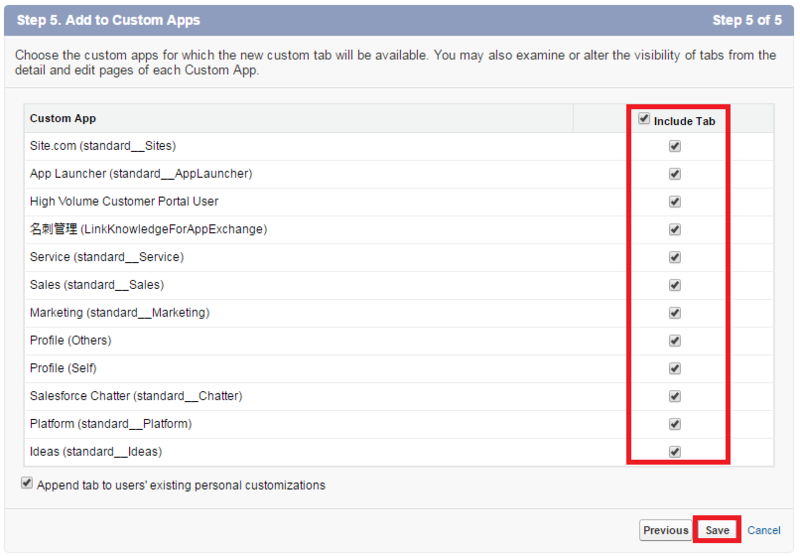 (7) Please select a custom application of your choice that can be used. (8) Exit the settings, and the Sansan tab will be displayed. Please check that you can access Sansan from it.